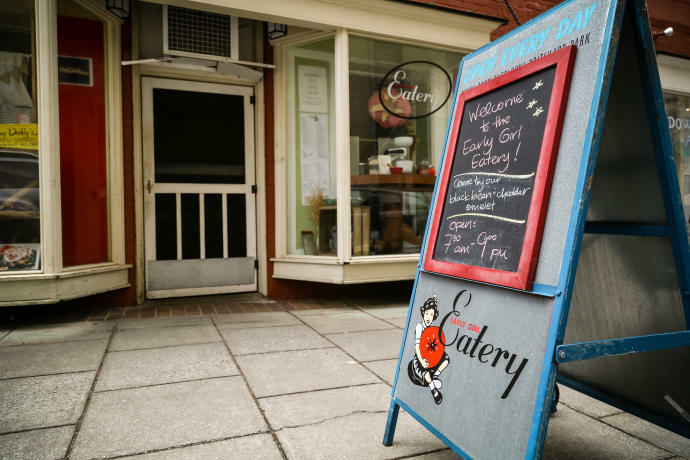 The story of Early Girl Eatery is a romance. It begins with owners John and Julie Stehling, who met and fell in love while working at Hominy Grill in Charleston, John&apos;s brother&apos;s place. In 2001, they opened their own restaurant in downtown Asheville. It was supposed to be just a mom and pop, John insists, but today, Early Girl is a bastion of casual local fare. "It&apos;s kind of like going to your grandma&apos;s house and having dinner, or back to mom&apos;s for a meal after you haven&apos;t been there for awhile," John says, although even grandma would be impressed by the array of locally sourced meats and veggies. The love story continues within the restaurant. "There are several Early Girl babies that have come from people meeting here," Julie says. "Since we met at a restaurant, I really like that—Early Girl love." But love doesn&apos;t have to be so straightforward, Julie explains. 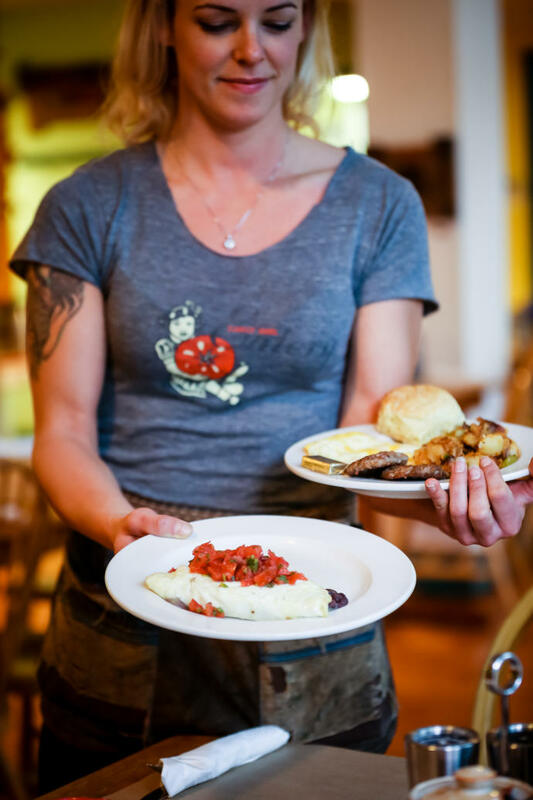 Over pancake breakfasts and hearty dinners of mountain trout and fried chicken, people fall for new ideas too. "I think of all the conversations that might have started here, and that makes me really happy," she says. "That&apos;s the joy of being a spot where people are comfortable." 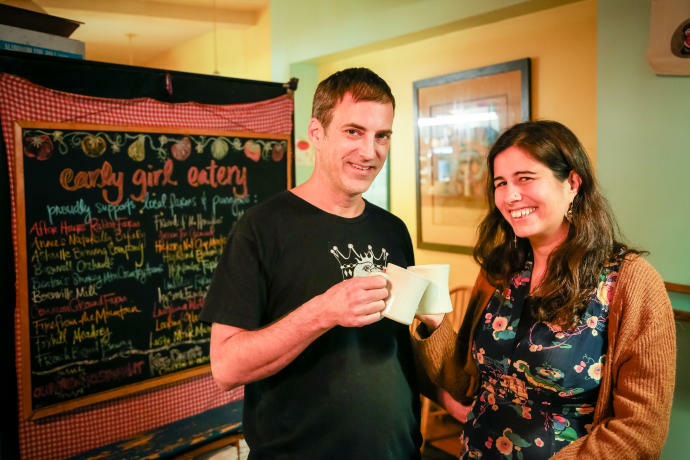 To share the love with West Asheville, they opened a second restaurant, King Daddy&apos;s Chicken and Waffle, in 2014. It shares Early Girl&apos;s commitment to heartfelt Southern staples—plus five types of waffles and nine styles of chicken with which to top them for a savory-sweet soul food combination. "I can&apos;t say that&apos;s a southern Appalachian thing," John says. "But it&apos;s just so good I couldn&apos;t help myself."